With these three recipes in your holiday arsenal you will be ready for all sorts of special occasions. 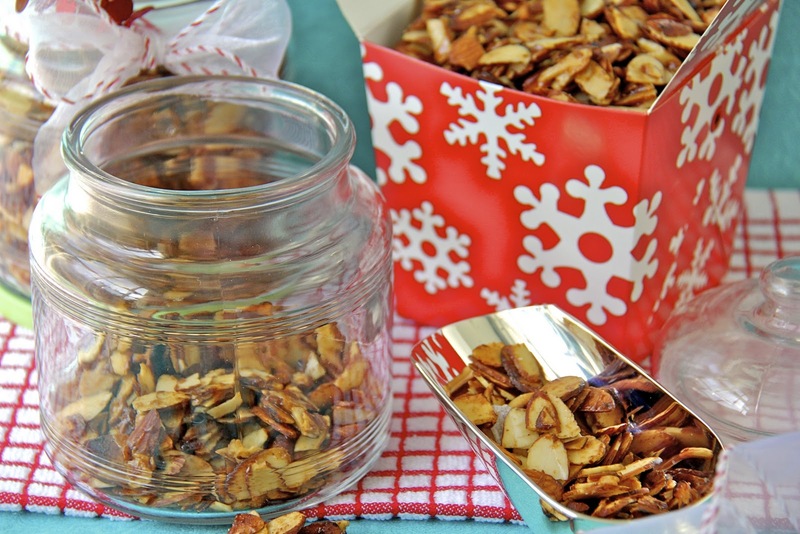 Today’s recipe for Caramelized Sea Salted Almonds is perfect as a simple (addictive) appetizer, wonderful in a pretty package for a hostess gift, incredible on top of oatmeal, yogurt, ice cream or _______ . You fill in the blank! I am using a handful of them this week as a beautiful crunchy, golden topping for my Cranberry-Avocado Winter Salad, (tomorrow’s recipe!) but they certainly would add a gourmet touch to any salad. 1-1 ½ teaspoons smoked paprika* – some smoked paprikas are quite hot, if you don’t like “hot”, just use 1 teaspoon and they will be mildly spiced. 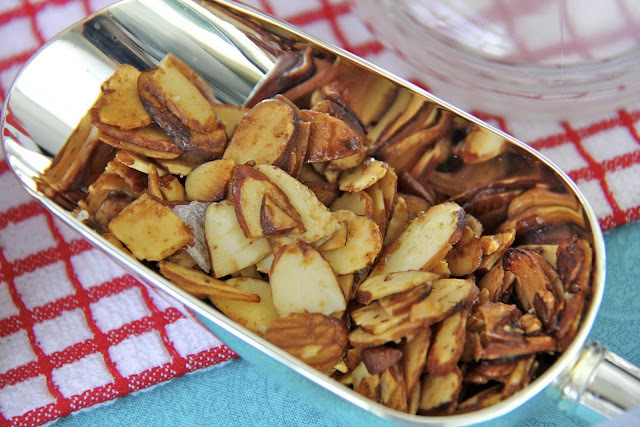 *The cumin and the smoked paprika give just a hint of mysterious, delicious flavor – even though these are savory spices, these almonds are still wonderful served with sweets like ice cream or yogurt. 4. Add the nuts and stir gently to coat. 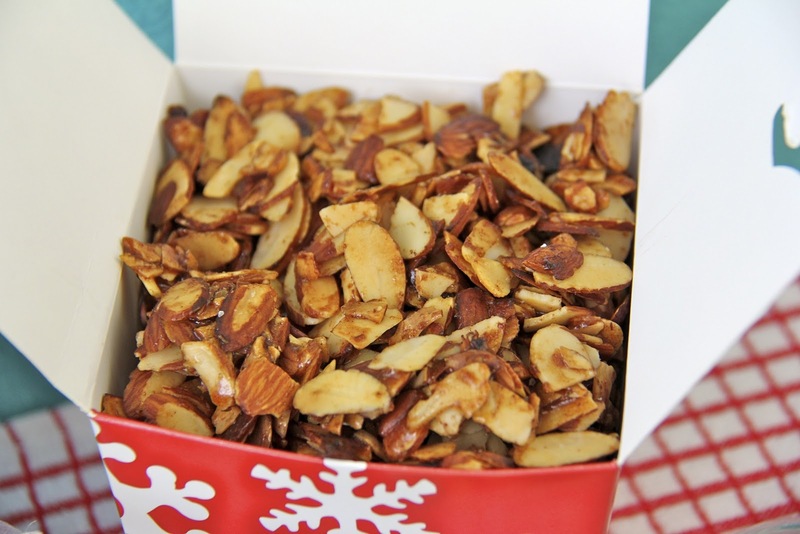 Don’t worry if you have some clumps of caramelized sugar – they will melt as you continute to sauté the almonds. Cover and continue to cook on low, stirring every minute or so until almonds are a delicious golden brown. Watch very carefully as they can go from beautiful to burned very quickly! Turn out onto prepared foil and sprinkle liberally with sea salt. Spread out on foil to cool. just slightly more than a dollar! When I made these, the sugar mixture turned into a big glob when I added the butter, etc. What did I do wrong? Hi Bev, honestly, I’m not sure. I wonder if perhaps your heat might have been too high?? So nice to hear from you Megan! I love hearing other peoples success stories! Thanks for taking the time to leave a comment! Oh, yum. I just made these almonds for the second time now, and it won’t be the last. (I added a bit more sugar and butter, but kept everything else the same.) The problem is that I cannot stop eating them! They are so incredibly addictive. I had to put them in a container and take them upstairs to my husband’s office, where they’ll be out of reach for me. Hopefully he’ll be able to resist them better than I can. Don’t remember how I came there, but I know I’ll be back ! I tried your recipe with whole almonds ; altought I overcooked the sugar, they worked perfectly in my purple slaw. And congratulations to your husband for his beautiful pictures, I wish I had the same binomial at home ! Hi Chris,the almonds are oh so tempting..I’m gonna make them but I’m not willing to share..lol..Have a blessed week! Delicious, I love to try this one. Wonderful gift idea. These almonds look great. I always have a bag of almonds at my desk and I think these ones are in order for the next week! I’m so intrigued by these since they are sweet but also have cumin and paprika-I bet I’d love them! I am so glad you popped over to my blog and left a comment, so I could discover your lovely blog. And, I am just in the mood for some new recipes. Oh my goodness they look fabulous. What a great little Christmas gift too. I love the savoury spice addition, it’s an interesting mix. I don’t think I’ve seen sliced almonds with the skin on. 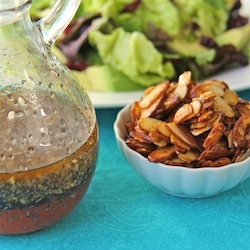 I assume I could use flaked almonds and just not cook them as long or use slithered instead. Chris…I love your ‘little black dress’ analogy! And I love this kind of recipe, simple and basic and good on their own or a perfect addition to something else. When I make these…I don’t think they’ll make it to any other dish! Fabulous! that sounds so very yummy and I like that it’s also relatively healthy for a treat! Hello! 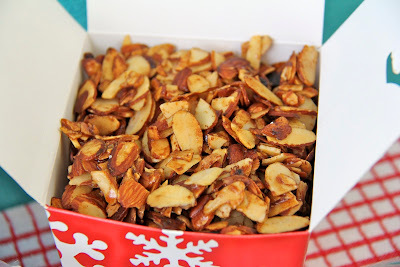 I love candied nuts and grains too, this is a great treat for my Christmas gift basket! I’m excited and waiting for the other two! These would be a big hit in my home! I haven’t seen the sliced almonds at Sam’s but I haven’t been there in a few weeks. Little black dress recipes?Haha!So funny!You are right!They seem really tasteful and would be a perfect gift!Have a lovely week,dear! Very addictive and seriously delicious. I wonder if Sams Club has the same deal? These sound way dangerous but in a seriously good way, great tip about Costco too!! Oh yes, this is indeed a must have recipe – love this – quite dangerous as I’m sure I’d eat way too many! 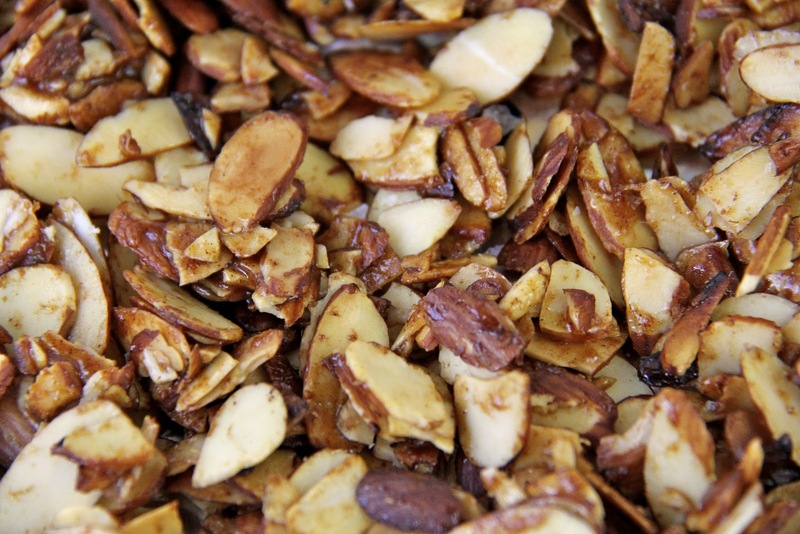 I’ve made these delicious nuts often to add to salads and so appreciate all of your other suggested uses for them. What a delicious gift to share too. You are right about Costco, you almost can’t afford not to have a membership! This looks so yummy! Have a great week!